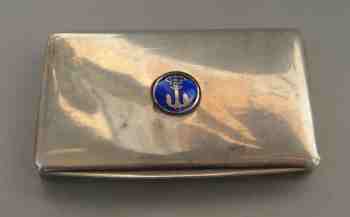 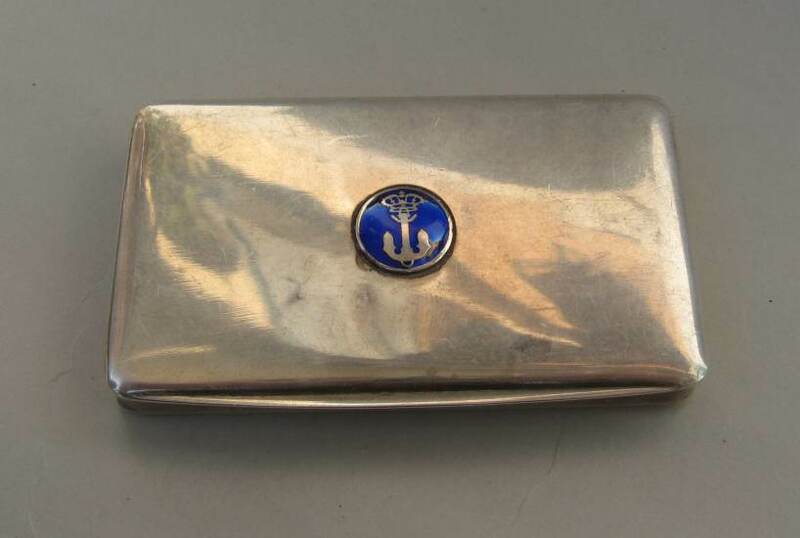 this is a rectangular pill box decorated on the lid with a small disk bearing an anchor under a royal crown on a blue enamel background. 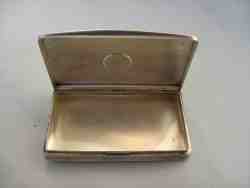 A date and dedication are engraved on the inside of the lid. 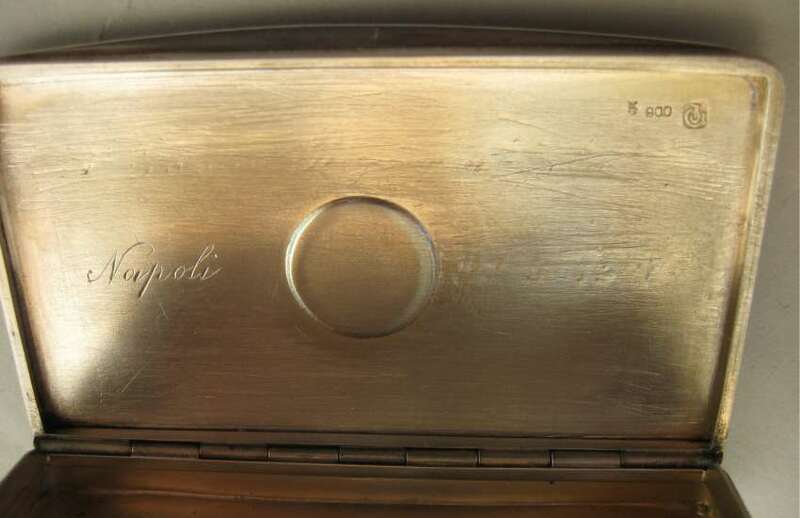 Unfortunately they are rubbed and only the word "Napoli" (Naples) is quite readable. 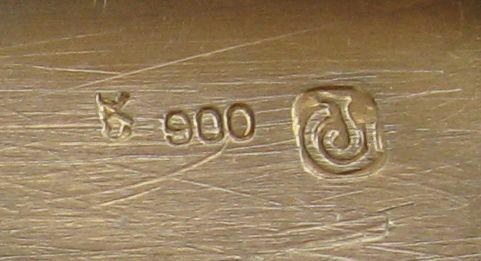 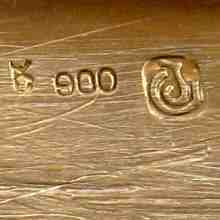 The box bears on the inside German hallmarks in use after 1888 (crescent and crown), 900 (900/1000 silver fineness and maker's mark (a J inside a circular motif: not identified). 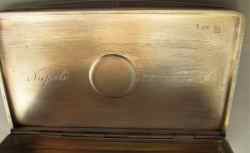 I was unable to find any information about this box and its rubbed dedication. 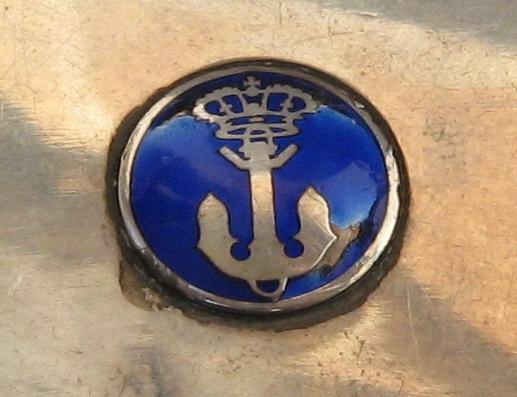 The unusual decoration (royal crown, anchor, blue Savoy background) and the surviving of "Napoli" on the engraved dedication may suggest that it was a token or prize presented to an unknown personage by the R.Y.C.C. 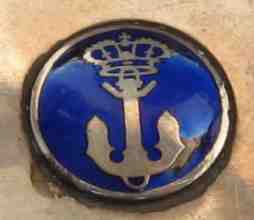 Savoia of Napoli (Yacht Club Canottieri Savoia, Naples). 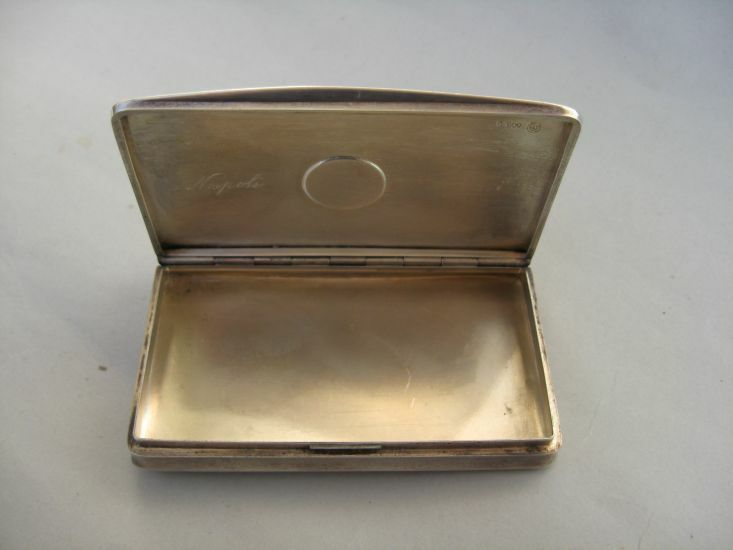 The RYCC Savoia was founded in 1893 and still maintains in its Roll of Honour as Honorary President the King Vittorio Emanuele III and three other Savoy's Princes as Vice Presidents. 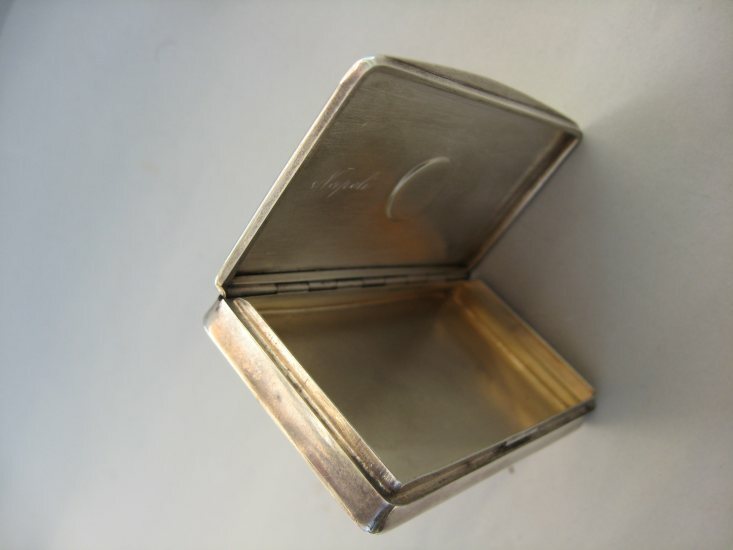 The pill box measures 3 x 1 3/4 in (7,5 x 4,5 cm.) 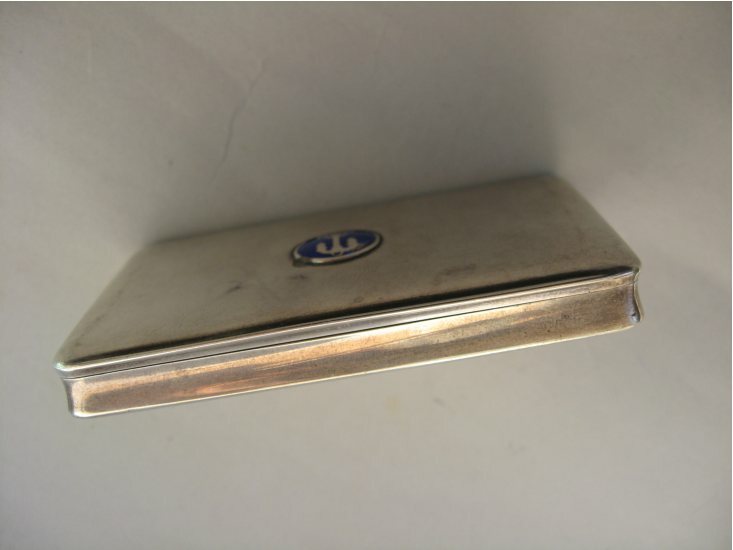 and was bought from an Italian dealer in an antique market.